Infosecurity Europe is Europe’s number one information security event with over 345 exhibitors showcasing the most diverse range of products and services to 13,000 visitors. 1) See the New GravityZone: Unveiled on May 20th, the New GravityZone is a single delivery platform to protect ALL endpoints. Simplicity, best performance and best protection, prevails and we’ve added a few new capabilities. See The New #GravityZone in action and confirm for yourself what our customers have been saying all along. 2) If both protection and performance matter to you in a security solution, then the recent results from Login VSI are pretty compelling. Stop by stand C180, and we will happily show you more. 3) You might have heard about our recent technology announcement regarding Hypervisor-Based Memory Introspection (HV-MI) Solving the ‘context versus isolation' dilemma of security, Bitdefender’s advanced research changes the face of data protection within virtualized endpoints, “overcoming privilege paradoxes between security and malicious activities”. If you deal with cloud/virtualization environments, you should drop in at C180, because HV-MI is the future. 4) Ready to learn What Security Pros Can Learn from Shadow IT: Lessons From the Infrastructure and Operations Playbook? Then make sure you see our very own Bo Skeel (@bo_skeel) present this topic at the Information Security Exchange on Tuesday, June 2 from 14:15 to 15:15. 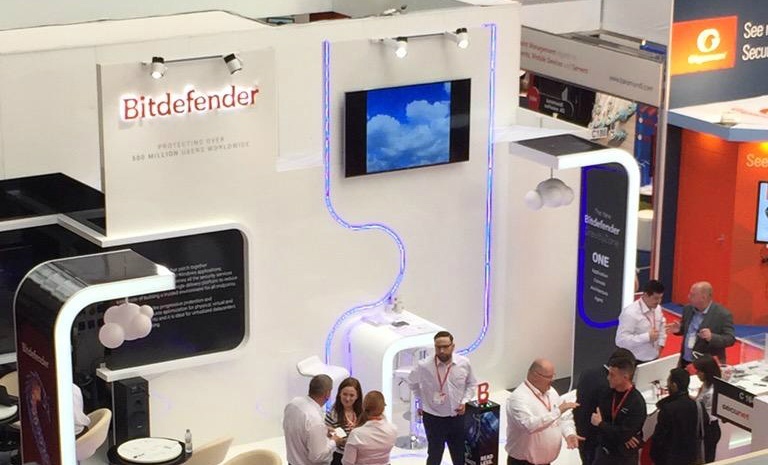 5) Win “yourselfie" a new Apple Watch: Show up at stand C180, take a selfie with our stand in the background, tweet with the hashtag #GravityZone, and you become automatically eligible to win. 6) Be the first to see our beautiful new stand making its inaugural presentation. C180, it can’t be said enough. 7) Just meet Bitdefender. Maybe we’ve met before, maybe we haven’t. We are eager to meet you, shake your hand, have a discussion, and learn more about your business. No flash, no ‘booth-babes’, just real people dedicated to a common cause: making the best security protection and performance available to all enterprises. See you at Infosecurity Europe #Infosec15!